Let’s face it, nowadays you can’t avoid eating at McDonald’s. Either your colleagues are going there for lunch you don’t want to miss, or the Golden Arches is the only signboard you see when a pang of hunger strikes. Inevitable, this moment will come, so you better be prepared. 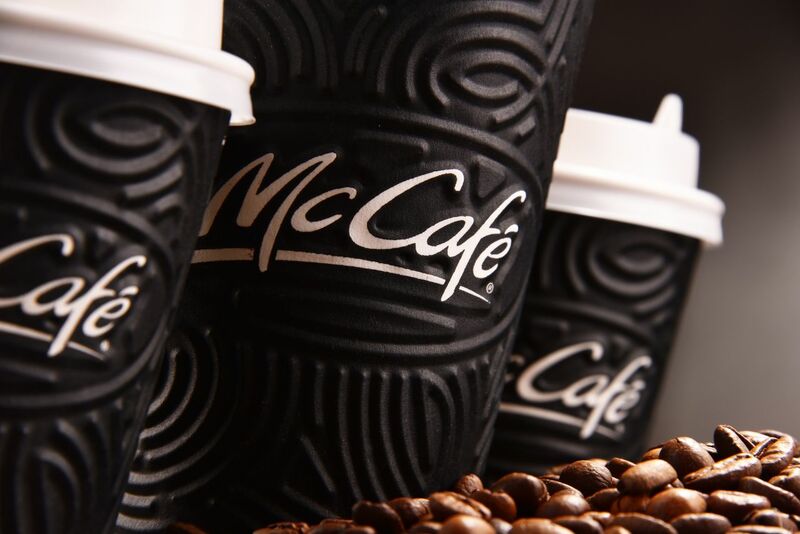 Due to the growing craze about healthy food and sustainable sources, McDonald’s has made a global commitment to those principles. This has resulted in their new chicken antibiotics policy, cage-free eggs, improved beef production practices, and less artificial preservatives. And in evolving their menu by adding avocados and turkey sausages — not present yet — but promised to appear later. Nevertheless, the fries-and-burgers basics won’t vanish with the wave of a magic wand. The latest changes encourage you to stop by sometimes, but you still have to be vigilant while making an order. Follow the tips listed below to fit your keto macros when eating out in this land of nuggets. Ordering low-carb grub at Mickey D’s might seem intricate. Yes, you don’t have to be a genius to nosh, but certain “be’s” might help. Be choosey. Research the dishes and pick out those that fit your taste and have the best nutrition. McDonald’s has a decent nutrition calculator online; also, the best keto-friendly options are listed below to save you time. And if you suddenly have forgotten everything you read, don’t be shy to ask a cashier about the best low-carb options. Be confident. Every day millions of customers place their orders, so the staff is used to what you might consider unusual. Sure no one is going to scrape away the breading from the chicken fillet, but there’s nothing wrong with asking to omit certain ingredients. Beware. It’s easy to get lost among the huge menu, especially with all those variations of similar foods. 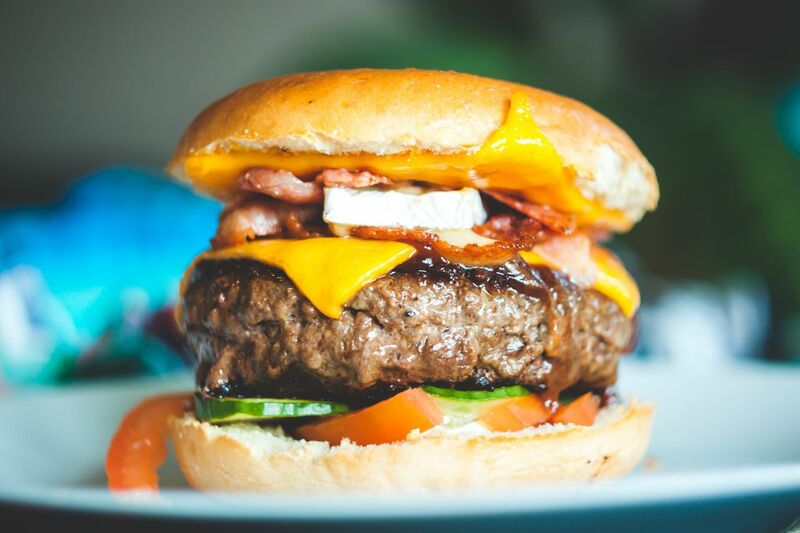 “Which burger is keto-friendlier? Can I order forty pieces of Chicken McNuggets?”. Jumping ahead, the burger which doesn’t contain a sugary sauce; and no, those crispy nuggets have too many carbs in their breading. No to buns. McDonald’s is proud of its signature artisan roll, but you know that a bun is a bun. The first rule of Keto Club is: You do not talk about buns (unless you ask a cashier to omit them). Same for muffins, biscuits, griddle cakes. No to breading. Crumbs are grated buns, and you know the first rule. No to bakeries. Cookies, pies, and cakes are a big NO for a responsible ketoer. If you have a sweet tooth check out an awesome Keto Flan recipe to cook at home. No to sugar. You know a sugar stick is something you won’t pour into a coffee mug. Yet you might not have known that Ketchup and Tangy Barbecue Sauce also contain this high-carb sweetener. No to honey. Sugar’s best friend with kick-off-ketosis nutrition. Honey Mustard Sauce or Honey Glazed Tenders are a strict no. Knowing these biggest no’s, it’s time to place a keto-friendly order. Egg White Delight McMuffin. Extra lean bacon, white cheddar, and freshly grilled egg whites. Omit buns to get a keto-friendly source of 140 calories, 2 grams of net carbs, 9 grams of fat, and 13 grams of protein. Bacon, Egg & Cheese McGriddles. Without griddle cakes, it provides 180 calories, 4 grams of net carbs, 12 grams of fat, and 14 grams of protein. Bacon, Egg & Cheese Bagel. With savory bacon atop a fluffy folded egg beneath two slices of melty American cheese, it consists of 300 calories, 6 grams of net carbs, 23 grams of fat and 17 grams of protein. Excluding the bagel, of course. Sausage McMuffin with Egg. Sans muffins, you get 340 calories, 3 grams of total carbs, 29 grams of fat, and 16 grams of protein. Big Breakfast. Halved when you omit hash browns and biscuit, it still has 340 calories with 2 grams of totals carbs, 29 grams of fat and 19 grams of protein. A nice choice if you like scrambled eggs. More options are easy to find in McDonald’s Breakfast Menu but be careful with hotcakes, tortillas and all sorts of buns. “It is more fun to talk with someone who doesn’t use long, difficult words but rather short, easy words like “What about lunch?” — Pooh. If only this little teddy bear knew McDonald’s had front doors big enough, he would’ve certainly come here for his famous lunch. And if so, he would’ve ordered a keto-friendly meal of meats and salads. Double Mushroom & Swiss Burger. A multi-layer beast for ravenous keto-dieters, it provides 720 calories with 10 grams of net carbs, 54 grams of fat and 49 grams of protein. Two beef patties covered with Swiss cheese and seasoned mushrooms can nourish an insatiable eater even without those artisan rolls. Big Mac. Not so big sans triple sesame seeds bun, it’s still the one and only masterpiece. With a classic mouthwatering combination of lettuce, pickles and signature sauce, it provides 330 calories with 7 grams of net carbs, 25 grams of fat and 18 grams of protein. Triple Cheeseburger. Seasoned with simple salt and pepper, it is a source of 370 calories, 7 grams of total carbs, 26 grams of fat and 27 grams of protein when you rip the buns off. Removing ketchup reduces net carbs to 5, and going for a double or a plain cheeseburger proportionally lowers the nutrition. Filet-O-Fish. This breaded Alaskan pollock fillet is the only keto-friendly fish option at McDonald’s. Bunless, it gives you 240 calories with 10 grams of total carbs, 17 grams of fat and 12 grams of protein. Nine of those carbs come from wheat breading, so you better not double this order. Artisan Grilled Chicken Sandwich. Non-breaded grilled chicken fillet combined with Roma tomato and crisp leaf lettuce is a nice source of 160 calories, 3 grams of net carbs, 4 grams of fat and 28 grams of protein. Omit the artisan roll. After building the base for a genuine keto-lunch, it’s time to green it up. Since McDonald’s tossed up the first salad in 1986, nothing else has made such a seismic shift in this menu section. Same good old crispies mixed with greens, they provide too many carbohydrates. Fortunately, two options are here to save the day (nutritional values do not include dressing). Bacon Ranch Grilled Chicken Salad. With no artificial preservatives or flavors, grilled chicken is layered on top of crisp romaine, baby spinach, kale, a mix of ribbon cut carrots, smoked bacon, Roma tomatoes, and shredded jack and cheddar cheese. Rich in vitamins A and C, it provides 320 calories from 8 grams of total carbs, 14 grams of fat and 42 grams of protein. Side Salad. A blend of greens with grape tomatoes served with your choice of dressing; this salad is a keto-safe source of 15 calories with 3 grams of net carbs, zero fats and 1 gram of protein. A perfect dietary addition to any meal, it replenishes an average daily value of vitamin A. Two is better than none; combined with meat options listed above, they add up to ten different hearty meals. Dasani Water. Possibly the best drink, water is especially important while doing keto. A product of the Coca-Cola company, Dasani water is “purified with minerals for sheer refreshment.” Looking at its nutrition summary, it’s rather purified “from” minerals but is still a great way to quench the thirst. Iced Tea. With a brisk mixture of pekoe cut black tea and orange pekoe, this freshly brewed drink is served ice cold. From extra small to large, any size contains a negligibly small amount of calories (basically zero). Diet Coke. Well-known icy cold fountain drink. Zero calories, zero carbs, zero nutritional value. Definitely a keto-friendly beverage with questionable benefits. Americano. Classic diluted espresso; a large portion provides zero calories and gives you an instant caffeine burst of energy. Coffee. Expertly roasted and brewed 100% Arabica beans give a satisfying taste of the usual morning coffee. Zero calories when you avoid sweeteners and dairy. When carbs come in liquid form, they are readily absorbed, and thus a relatively small amount of 9 grams in a small cappuccino might interrupt your ketosis. If a drink tastes sweet — spit it out, unless it’s diet coke. 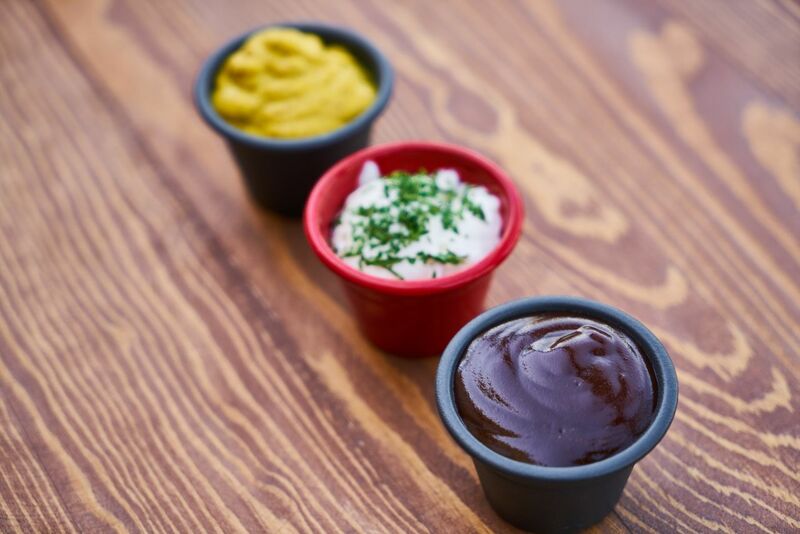 From spicy to sweet, those delicious dips and condiments make a huge difference in your overall McDonald’s keto experience. Sauces tinge your food with scrumptious flavors, challenging you to overeat. Not only are they dangerous because of binge eating, but some of them might also threaten your ketosis due to their sugar content. Sweet ‘N Sour Sauce. One pack has 50 calories and 11 grams of carbs. Tangy Barbeque Sauce. Nearly the same as the previous one. Honey. And everything with “honey” in its name. Too much sugar. Newman’s Own Sauces, due to high carb content. The only exception to Newman’s sauces is listed below. Spicy Buffalo. Hot dipping sauce with just 1 gram of total carbs. Magnificent. Creamy Ranch Sauce. With 12 grams of fat and 1 gram of carbs, it will add garlic flavors to your meal. Mustard, Ketchup. Unless you go berserk eating pack after pack, they are suitable for keto diet with 1 and 2 grams of total carbs respectively. Mayonnaise, Tartar Sauce. Both contain zero carbs and about 10 grams of fat. The all-around champions of this improvised competition. Only God knows what’s inside their Signature Sauce (because McDonald’s website lagged instead of showing its nutritional info) so you better beware. However, if you’re a hungry enthusiast, you might check it over again in their sauce section. Some find Mickey D’s a hazardous place they should bypass, others think it is a handy and inexpensive burger chain with plenty of options to fit their keto macros. Both are right in their own way. 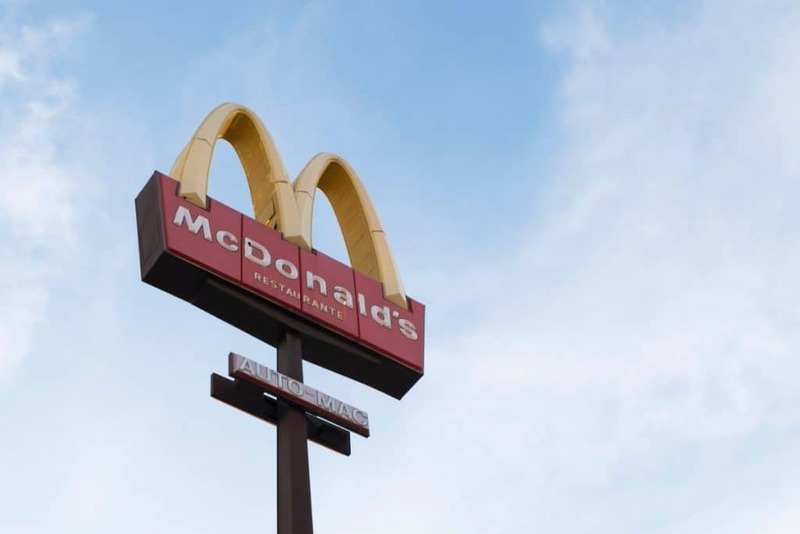 On the one hand, the ability to order low-carb meals at McDonald’s gives you gastronomic latitude — the freedom to travel without pondering on where to eat; due to nearly 40 thousand joints in over 100 countries, the golden arches are incredibly easy to find. On the other hand, fast food is a doubtful nutritional basis for everyday meals and can’t replace well-balanced healthy homemade cooking; a heartily flavored steak with roasted greens is still better than plain churned out grub. 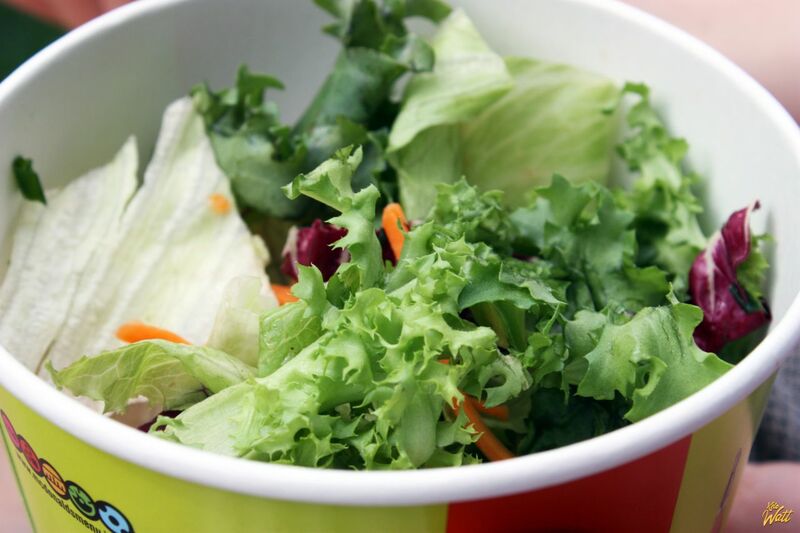 You don’t have to shun eating at McDonald’s; it’s a convenient way to stave off the keto hunger and avoid carrying your Tupperware all over the place. Just make sure you don’t stop in every time you need to eat and your keto-journey is out of danger.